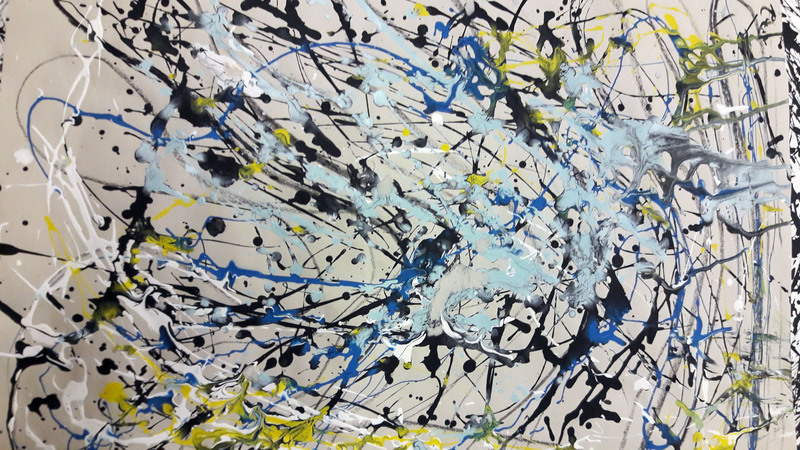 Painting with Abstraction with Rosie Parmley, an 8 week course on a Tuesday evening, 7-9pm. Each week you will be introduced to an abstract artist through a presentation. With step by step demonstrations, Rosie will lead you through the artists’ techniques in a fun, exploratory class. Some of the artists explored over the course of a year are: Gillian Ayres, Jackson Pollock, Grace Hartigan, Gerhard Richter, Perle Fine, Howard Hodgkin and Joan Mitchell ( the list is extensive and changes each term so nothing is repeated in a year). Literally, you become the artist for the night! All materials are provided and hot refreshments. All you need is a sketch book to record your learning. In the last 2 weeks of this course, Rosie summarises the processes and you have the opportunity to revisit and further explore your favourite artist. Be prepared to make a mess and immerse yourself in the creative processes of renowned abstract artists. Course runs from 23rd April – 18th June 2019.
www.rosieparmley.com or see images from classes on www.instagram.com/rosieparmley/.